Once in a while, I find myself ruminating on things that aren’t well. I’m sure you do that too. It’s those days when you feel like things are not going your way, you’re not good enough or you aren’t looking the way you would like to. For many people, it can be something they do every day because it’s easy to get used to negative thoughts even so much that it becomes an invisible part of your thinking. You don’t even notice how an extra pound on your scale transforms into “I’m fat”. How a simple misfortune like the keys you left at home becomes “I’m useless”. How a little set back on your goal becomes “I can’t”. How a few small mistakes become something huge like “I hate myself”. While negative self talk can quickly bring you down and even keep you there, know that you can fight back every time. A wicked thought is not a fact – it’s just a thought. And there’s absolutely no need to live with these thoughts – they give you nothing, just bring you down. One powerful way to beat self-limiting mindset is to counter it with positive, uplifting and encouraging sayings. 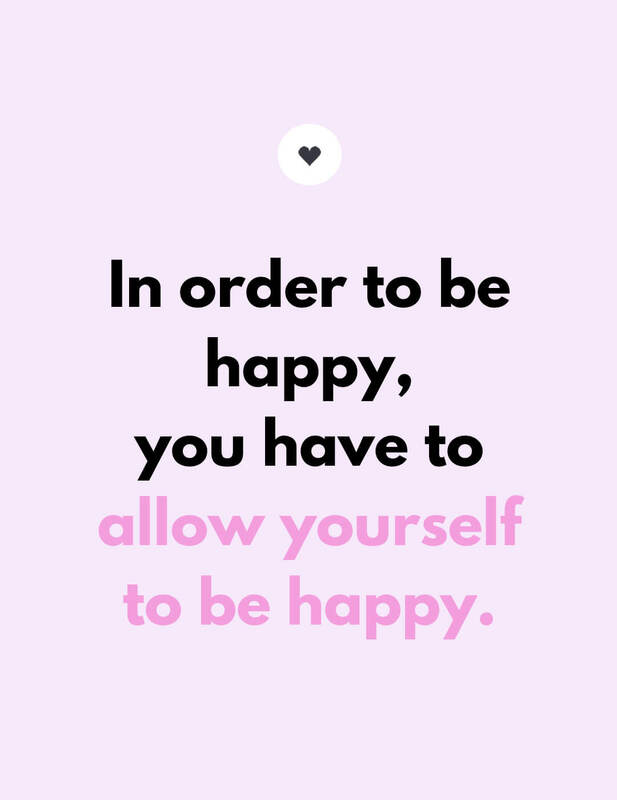 These self-help sayings are sometimes called affirmations, but I like to simply think of them as things you should say to yourself when something’s not right. You can read them, or even say them out loud to create a mindset that’s positive, nourishing and focused on going forward. Just make sure to open up and believe in every one of them when you do this. 1. I am worthy of good things. 2. I deserve to be loved. 3. I am grateful for what I have. 5. I can work this out. 6. I can go through anything. 8. I am beautiful the way I am. 9. I have what it takes. 11. I am doing fine. 12. I have the power to change. 13. Deep inside I know what I want. 14. My failures are my lessons. 15. I won’t give up. 16. I will give all that I’ve got. 17. I won’t stop until I’m there. 18. I control my happiness. 19. I control my thoughts. 20. I am successful enough. 21. I will love every inch of my body. 22. I choose to be brave. 23. I know what I’m doing. 25. Things will work out. 26. I can be patient. 27. I can respect and be respected. 28. I will look for what’s right in every situation. 29. I am growing as a person. 30. I am more than my fear. 31. My body can heal. 32. My life has its own timing. 33. I can cope with distress. 34. I am smart and intelligent. 35. I have power over my mindset. 36. I will move forward. 37. I will not give up on myself. 38. I allow myself to rest & slow down. 39. I can achieve the things I want. 40. I am just as good as anyone else. 41. I can face my obstacles. 42. I can let go. 44. My life is my story, and I’m proud of it. 45. I view changes as new opportunities. 46. There’s nothing wrong with me. 47. There’s nothing wrong with anyone. 48. I don’t have to be sad. 50. I have a purpose. 51. I deserve to love myself. 52. I can take it step by step. 53. I am proud of myself. 54. Now is a perfect time. 55. I’m getting stronger every day. 57. I will be excited for what’s coming. 58. I can be inspired. 60. I love my life the way it is. 61. I can get up if I stumble. 63. I can say “NO”. 64. I’m going to show the world what I’m capable of. 65. 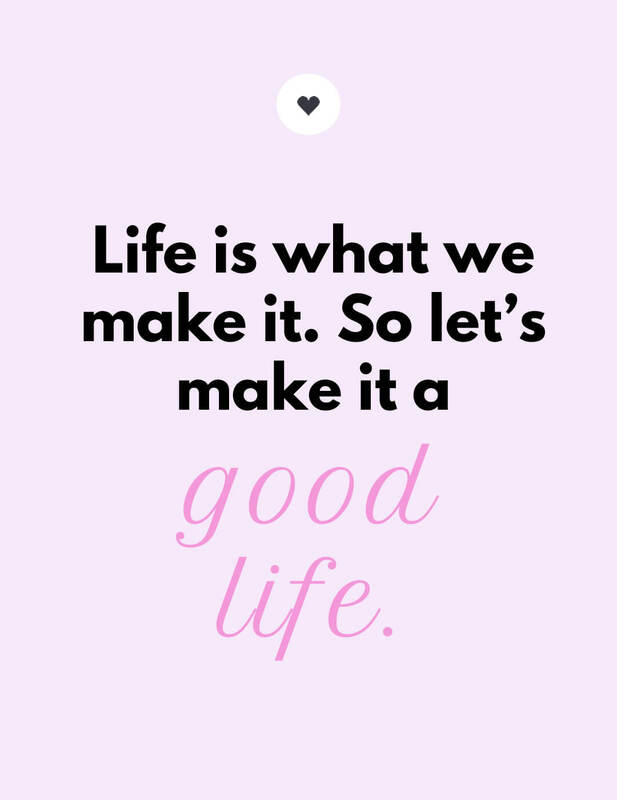 Life is what I make it. Want to get real results of it? 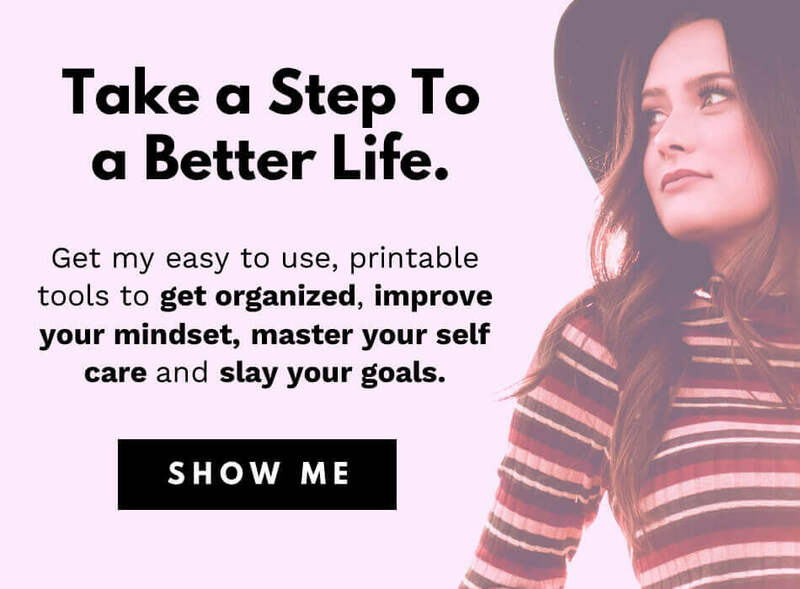 Download this list as a FREE printable and repeat these powerful sayings to yourself every day. 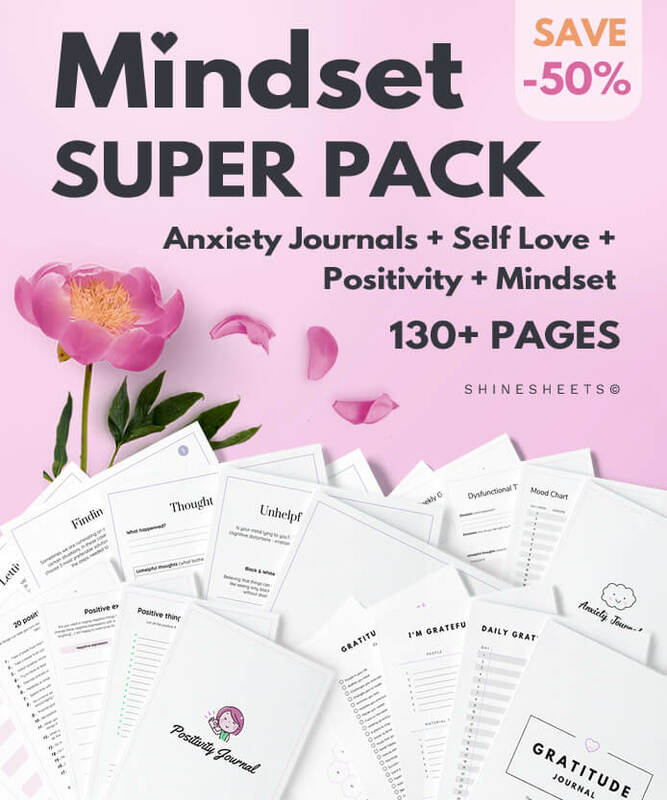 It has 12 wonderful journaling tools that you can use to create a mindset of a strong, resilient and radiant person – without any hard effort. Are you tired of negative self talk? Share in a comment at the bottom of this page!